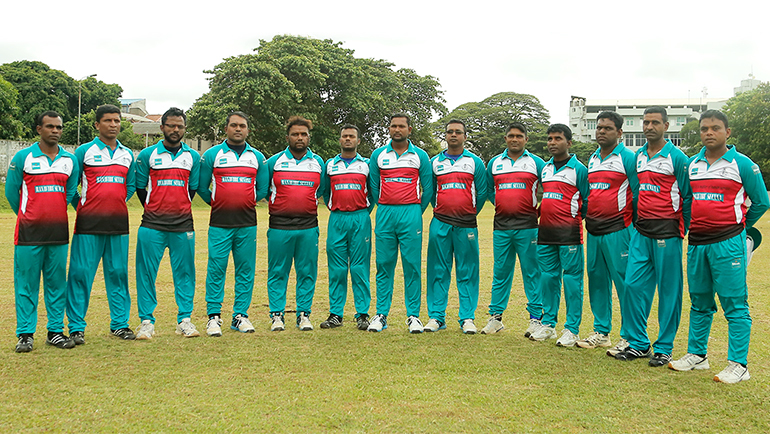 Team Ranaviru Sevana secured a last wicket win over team Shakthi during the nail biting finals of the 6th Dilmah Challenge Trophy National Blind Cricket Tournament held on August 19th at the Wesley College Grounds. Both teams consisted of players of varied stages of visual imparity from partially sighted (B3), to partially blind (B2), to totally blind (B1). Playing a remarkable first innings, team Shakthi obtained 215 runs in 27.3 overs with batsmen Saman Thushara (B2) scoring 78 runs while Damith Thushara (B1) contributed with 26 runs. 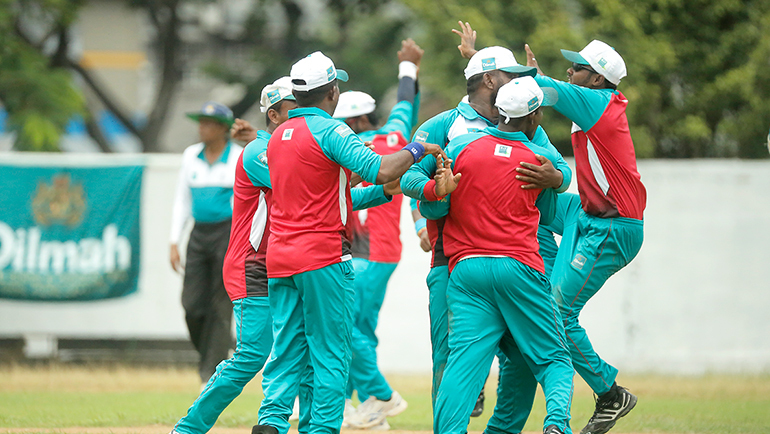 Team Ranaviru displayed that its bowling attack is in fine form when the players Dimuthu Ravindra (B1) obtained 3/31 in 5.3 overs while Saman Kumara (B1) got 2/35 in 5 overs. Players Chandana Kumara (B3 ) from Shihashakthi who obtained 391 runs with two centuries and 1 wicket, Upul Sanjeewa (B2 ) from team Shakthi who obtained 157 runs and 8 wickets, and T D K Sahankumara (B1) of team Ranaviru who scored 122 runs including a century and 4 wickets were awarded the 'Man of the Tournament' trophies. 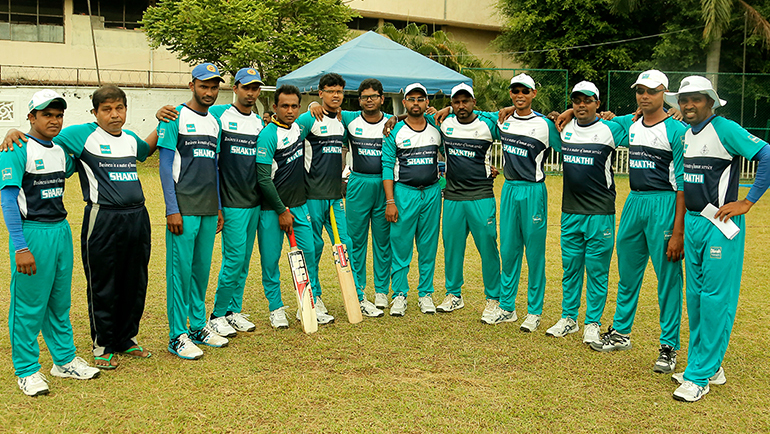 An event supported by Dilmah Since 2005, the National Blind Cricket Tournament is a celebration of the capabilities and the sportsmanship of the visually impaired spread across the country through the game of cricket. The tournament gives all teams registered with the Sri Lanka Cricket Association of the Visually Handicapped an opportunity to participate in a national level cricket tournament to showcase their talents. Subsequently, the best players are selected for the National Blind Cricket Team to represent at the Blind Cricket World Cup. 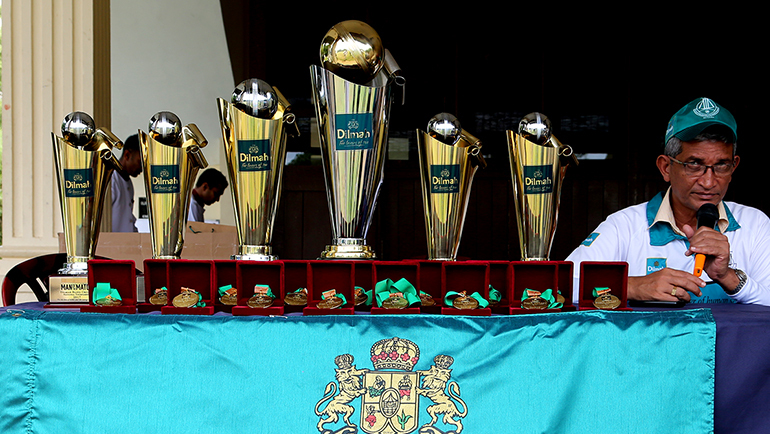 This year's tournament had 180 players taking part in 29 matches played over a period of 60 days in Colombo and Moneragala. "The growth of the cricket for the visually impaired in Sri Lanka is an encouragement for the blind to reach their full potential. National Blind Cricket Tournament is a manifestation of their strengths. It is everyone's responsibility to help them develop their talents. 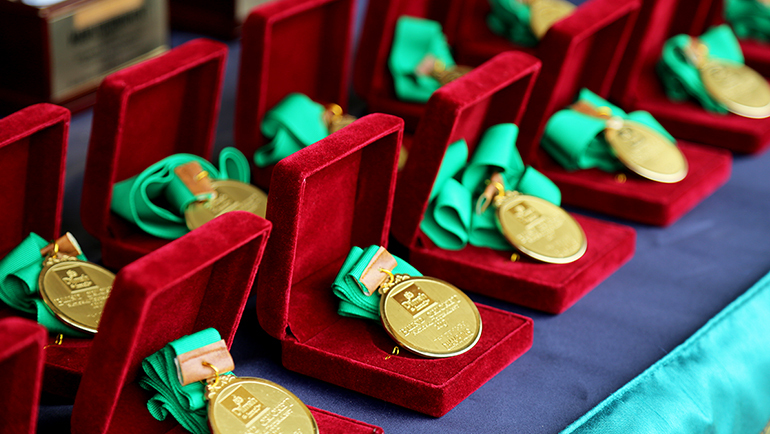 Sri Lanka is known as the Cricket country and the Dilmah country, and I hope that the visually impaired cricketers would gain due recognition through the event," says Dilmah Founder, Merrill J. Fernando. Supporting the National Blind Cricket Tournament apart, the MJF Charitable Foundation has, throughout the years, assisted the visually impaired through various initiatives such as the annual AIDEX sports meet that rewards the talents of the differently-abled community in Sri Lanka and the Knowledge Chest initiative which voice records publications to ensure visually impaired have access to vital publications without having to bear the high cost of Braille books. The MJF Charitable Foundation is also working closely with the School for the Deaf and Blind in Ratmalana and Subhagya Vidyalaya - the School for the Hearing and Visual Impaired in Monaragala. Dilmah is Ethical Tea, in that all packaging profits are retained in Sri Lanka and fund the work of the MJF Charitable Foundation and Dilmah Conservation. We believe that Business is a Matter of Human Service.